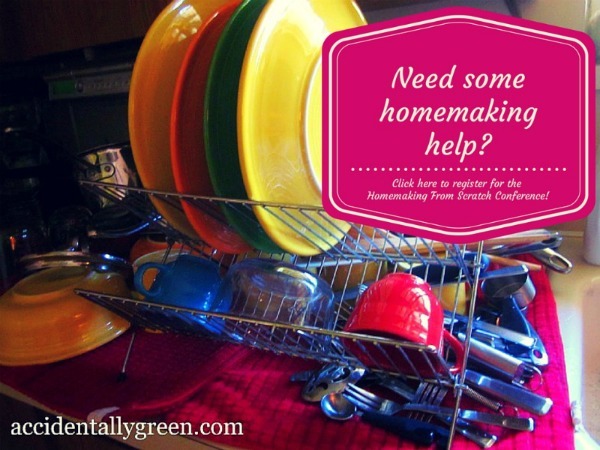 In celebration of this week’s Homemaking From Scratch online conference, I’m sharing my Top 3 Homemaking Tips this week. Today is Tip #1: Just do it. Homemaking isn’t always easy. But it CAN be enjoyable. I’ve found that having a plan greatly helps – and I love making my home a healthy one. But it’s not enough just to plan or to know about healthy changes that should be made. You have to do something. If I only think about having a clean home but continue to let the clutter collect and the dust pile, then my home isn’t clean at all. I actually have to do the work. So make your plans – and then follow through. Know what’s healthy (and unhealthy), know what changes you need to make – and then make them. You may want to make huge leaps, but can only take baby steps – it’s OK. Make them. Small changes can eventually make a big difference. This afternoon I’m talking about creating a healthy home at online Homemaking From Scratch conference. Conference tickets still are available for $29.95. You can buy a ticket once the conference is over, and once you buy a ticket, the sessions are yours forever! 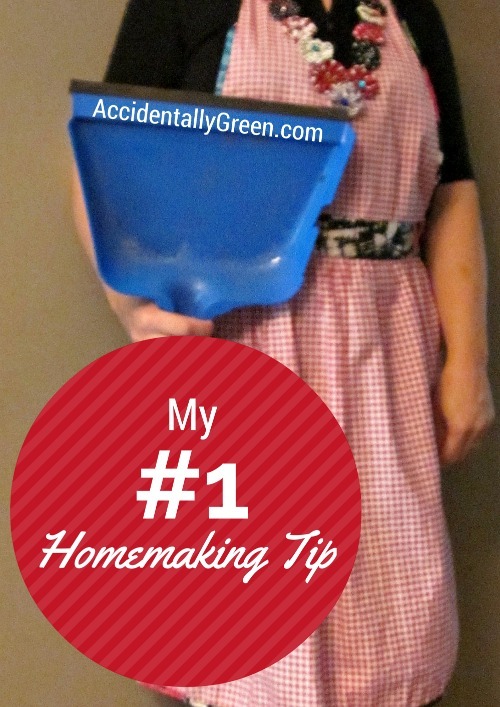 What is your #1 homemaking tip?